Start your St. Patrick&apos;s Day on Friday. Morro Bay will be hosting the city’s first ever Leprechaun Pub Crawl. Dress up in your green best or don an outfit fit for a leprechaun and prepare for a night of Irish inspired fun. Participants are given a complimentary glass and offered sample beverages and bites at each of the 13 participating locations. Grab your friends and head on over to the Siren at 900 Main Street at 6 pm on March 15th and start filling out your passport. A completely filled out passport will be entered to win over $1000 in prizes. Start your St. Paddy’s shenanigans early at Barrelhouse in Paso Robles. The brewery will be opening at 6AM for those who want an early start. Bartenders will be serving Barrelhouse brewed “Templeton” dyed green for only $3. They have also partnered with the Pairing Knife food truck to have a traditional Irish breakfast served starting at 7AM. Wake up with the sun and enjoy a morning of Irish fun in downtown San Luis Obispo. At 8 am on St Patrick&apos;s Day, be a part of the wave of green that overtakes downtown SLO. Expect bar deals from many of participating bars opening early. Check out McCarthy’s Irish Pub or Frog & Peach for a classic SLO town St. Paddy’s day. Try out Paso’s traditional Irish pub, Pappy McGregor’s. An extensive drink menu including five different Guinness brews pairs perfectly with the Blarney Burger or Patty Melt. Harmony Cellars is trying something a little bit different during Vintage Paso: Zinfandel Weekend. The winery will be turning into Charlie Mulligan’s Irish pub on this special St. Patrick’s Saturday. Live Irish music paired with Irish stew and soda bread will make you feel as though you are in the heart of Dublin. When paired with a flight of Harmony’s delicious zins, you’re in for a great day. Wild 106.1 will be hosting an Irish Fest with a Leprechaun Fun Run on Saturday, March 17 in Atascadero. With beer tasting, live music and a costume contest this is set to be an exciting day. General admission includes a glass and unlimited beer tastings. Be sure to try Irish specialties like the corned beef platter and Sheppard&apos;s pie. Note: All Leprechaun Run entrees must be 21+. 7) Grab a Pint...of Cider! Although Bristol’s Cider House in Atascadero known for their traditional an English-style cider, they will be hosting a St. Patrick’s Day party for SLO CAL residents and visitors. Drink locally brewed cider with a green twist. With a fun and friendly environment and live music from the Turkey Buzzards, you&apos;re sure to have a toe-tapping good time. 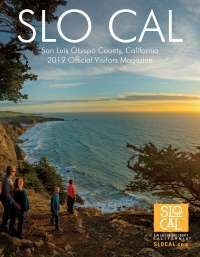 Spend your Saint Patrick’s Saturday exploring SLO CAL’s sprawling mountain landscapes. In the theme of the holiday, check out San Luis Obispo’s Irish Hills. Whether you are looking for a hike or mountain biking experience the natural reserve has many trails to choose from. Try out exciting adventures like the King or Froom Creek Trails and you’ll feel like you are in the heart of Ireland. These trails are moderate in difficulty so make sure to wear appropriate hiking clothing and bring water. 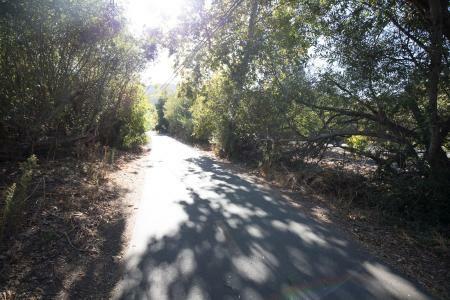 Try out Atascadero’s beautiful Three Bridges Trail. Five different trails to provide the moderate difficulty necessary for a quality workout. With 103 acres to explore, there is a lot of green to be seen at Three Bridges. Check out the Bob Jones Trail in Avila Beach. This trail meanders from city to sea and is surrounded by beautiful greenery. Bob Jones is the perfect path for your family’s bike ride or a long walk with the dog. Have a safe and fun Saint Patrick&apos;s Day in SLO CAl!